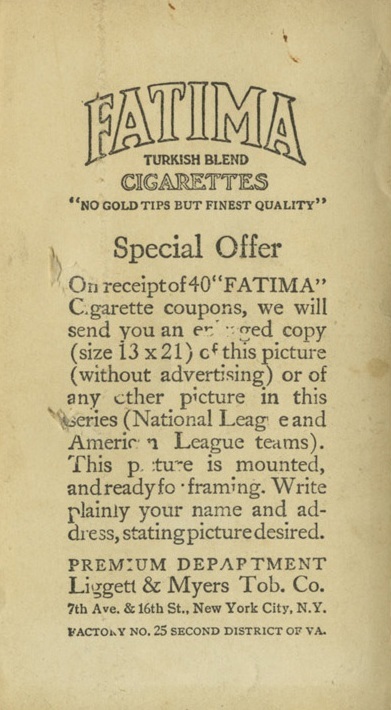 Ligget & Meyers Tobacco Co. issued these cards in 1913 for the Fatima cigarette brand. 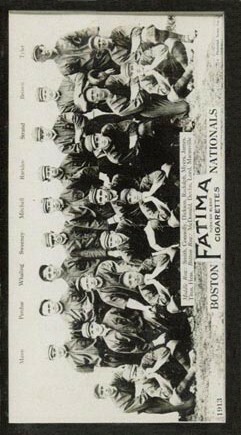 The set features labeled team photographs of the 16 teams from the time. 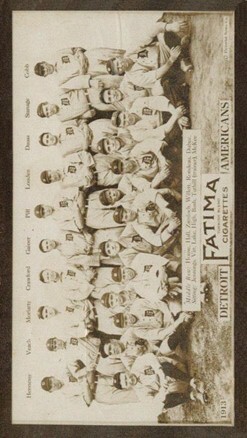 The players, trainers, managers, and even mascots were included in these cards. 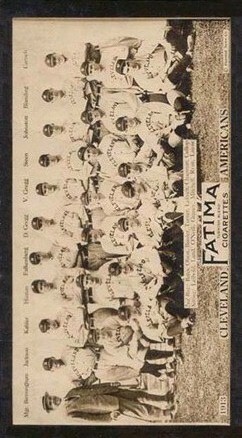 The fronts are glossy photos on paper stock. 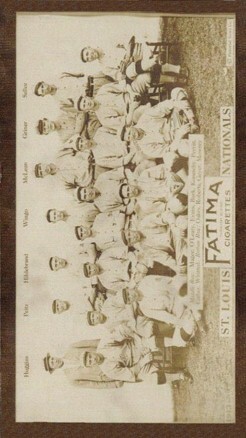 The backs have the Fatima ad and offer to exchange 40 Fatime coupons for an enlarged copy (Fatima Premiums). 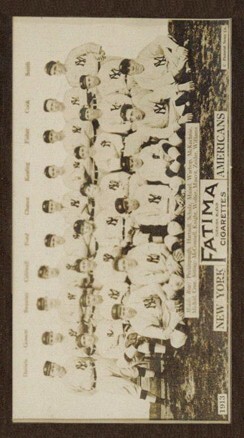 These cards are not numbered. 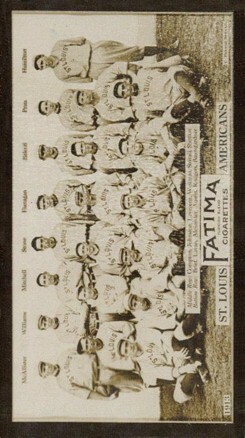 The larger Fatima Premiums are considerably rarer than the standard team cards and carry a significant premium. 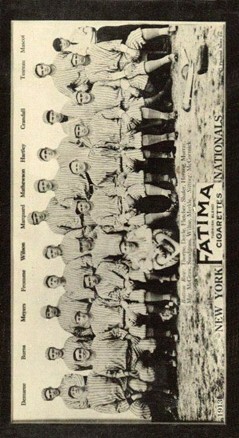 Manufacturer: Ligget & Meyers Tobacco Co.